Terri Carrington is the former wife of the renowned American stand-up comedian, Rodney Carrington. Apart from her celebrity marriage, she also holds her own as a speech-language pathologist, although it was her marriage that brought her to the limelight. She currently lives in Oklahoma with their three sons following the couple’s divorce in 2012. Not much is known about her private life except what she shares on social media. Here’s all we’ve been able to glean about her so far. Born on the 18th of November, 1970, she was given the name Terri Shae Lockhart. She was raised in Massachusetts and graduated from the University of Central Oklahoma. Details about her early background or family information are not known. However, from her social media activities and profile on her Twitter page where she noted that she is a singer, dancer and writer, it could be deduced that she was quite artistic growing up. Terri’s coming to fame could be tied to her marriage to the famous stand-up comedian, Rodney Carrington as she lived a very private life prior to her bursting into the limelight. She is a licensed speech and language pathologist and has worked for Captioncall, Senior Suites which is a skilled nursing and long-term care community. Moreover, she is a self-proclaimed social activist, an upcoming chef and wine connoisseur. 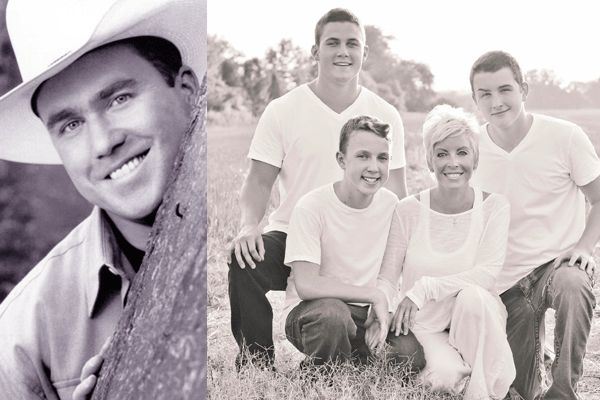 Rodney Carrington is a famous stand-up comedian, actor and country music singer. He was born on October 19, 1968, in Longview, Texas. He was a main cast member on the ABC sitcom, Rodney (2004 to 2006) and also appeared in the 2008 film, Beer for My Horses. Terri met her ex-husband in college and the two started dating shortly after and got married years later in 1993. The former couple had three sons: Zac, Sam, and George, before their marriage started falling apart in 2010. Rodney and Terri Carrington separated in 2010 and Terri filed for divorce which was officially finalized two years later, after being married for almost two decades. The reason for their split was not revealed to the public. However, there are speculations that it was Rodney’s long hours at work and absences from home that put a strain and eventual tear on the marriage. It could be that Terri could no longer put up with staying in the marriage alone and so, decided to call it quits. Regarding their divorce, fans were hit with the blow when out of the blues, news surfaced that the seemingly perfect couple were headed for the path of marriage dissolution. Rodney, who felt that he had always done his best as a husband and father to their three sons and has still not found out why Terri Carrington made the decision to divorce him, was the person most affected by the news. According to the comedian, he was so committed to his marriage and family and thus, saw the divorce as a big blow. At the time, he felt his marriage was doing really well. There was a time when he was still on his sitcom, he had to leave the show because he didn’t want to stay away from his family. He tried all he could to save their relationship but his efforts could not stop the imminent happening. Post-divorce, they have maintained a friendly relationship for the sake of their children, whom they have equal custody of. Also, Rodney revealed that he acted like a teenager the year following their split and struggled with his weight and depression during that time. There hasn’t been any news or even rumors of another relationship or marriage on both sides. Terri Carrington’s net worth has been estimated to be $1 million by some sources. This information may still be under review as details about her income, assets, liabilities, and expenses are not easily accessible. Her ex-husband, however, commands a fortune of $6 million. • Terri Carrington’s star sign is Scorpio thanks to her November 18th birth date. • Terri Carrington has lived in various states in the United States before finally settling in Oklahoma where she lives with her children. • She is leading a simple life and only shares what she deems necessary, mostly pictures of her and her sons with her followers on Twitter. • Rodney Corrington’s ex-wife is more than just a famous last name. She is not only a speech-language pathologist but also a social activist, upcoming chef, and wine expert. She is also good at writing, singing and dancing.